One of the greatest challenges faced by the small businesses is acquiring financing for the business. The beginnings of most of the new businesses are considered to be the riskiest and most problematic phase and this is applicable for any kind of business. Though there are various funding sources, getting the funds can be actually challenging. If a business is not able to get the right help in the form of financing, they may end up incurring huge debts and may have to opt for debt consolidation, and may even have to file for bankruptcy. Small businesses generally face problems in getting financing for a start up because the lenders may think that the business may face initial setbacks. 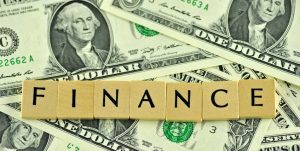 So, how can you get proper financing for the startup of your small business? You need to chalk out a good and unique but practicable business plan. You need to create the plan in such a way so that the potential lenders get interested in the same. Only if you can capture the attention if the lenders you may be able to get financing for your small business venture. Some of the other ways in which you can finance your small business startup is directly through the loans that government offers – state or federal and local governments. In addition, you can also try to get the government insured funding as these are easier to get and are a good source of financing. Most of these funds are guaranteed by the government of the United States and are in general offered by the traditional lending institutions. Another is the bootstrap financing. In this type, the entrepreneur supplies for the funding himself. This increases the worth of the company and later can help you in getting financing from other lenders.